For over 140 years, American Standard has been manufacturing quality products that work hard for you and your customers. We set out to make things easier for plumbers, with new innovations that enhance performance, longevity, and ease of installation. 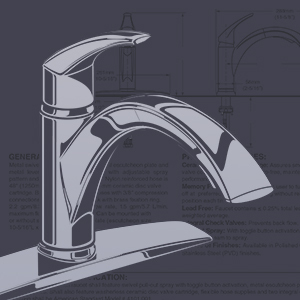 We’re proud to provide the best flushing performance in the industry with our toilets, and stand behind the quality of our bathroom faucets, kitchen faucets, sinks, bathtubs, and toilets, as we design new products on the forefront of technology and ingenuity. It's a fact of life; sometimes things break or wear out. When they do, our commitment to you is to have the part you need on hand and ready to fix your problem with the least amount hassle and inconvenience. For the latest on American Standard innovations, promotions, and more, sign up for the American Standard newsletter!